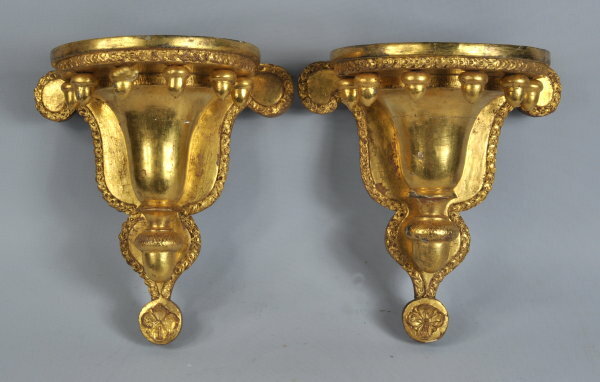 Very fine and rare pair of federal carved and gilded wall brackets, with flat shelf with foliate decoration above a vasiform plinth with shaped outline, the half round shelves with six dependent acorn drops and the plinth with one acorn dependent, above a foliate pendant base. American, probably New York, circa 1800. 12" high, 10 1/2" wide, 7 1/2" deep.